When I think of t-shirt and jeans, I usually think of a pretty standard, slightly boring outfit. It doesn't have to be. You know those days where you just can't be bothered, but still want to look half decent? Yeah, me too. Don't worry, your gal Alice has got ya covered. Throw on a t-shirt that's like 27 sizes too big, layer up some fishnets under your ripped skinny jeans, and you've got yourself a slouchy, grunge-esque, but still put together look. Pretty comfy too, might I add. For extra comfort, throw on those Nikes (or Adidas', whichever takes your fancy), but I've gone for my velvet heeled boots to make the outfit a bit less casj. Right, let's talk about fishnets under jeans. I've seen this look all over Instagram, and it's getting more and more popular by the day. I've gotta say it, I've been wearing this combo for years. Now it just looks like I've jumped on the bandwagon with everyone else. Most annoying. I'm gonna have to find a new and innovative way to wear fishnets now, so watch this space. Talking about jumping on bandwagons, I loove these lace up chokers that a lot of folk have right now. I got one for myself from Happiness Boutique, and I love how it looks paired with a simple t-shirt. 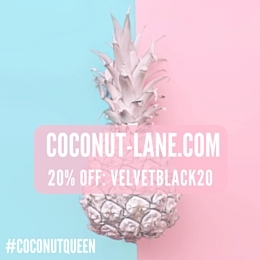 Happiness Boutique have also given me a 10% discount code (thevelvetblack) for y'all to use if you spend over 19 euro on their site. So come jump on the bandwagon with me and get your own lace up choker! They have free shipping as well, so don't worry about them being based outside the UK. Love this look, but I was really worried it wouldn't suit me !